Give your family something extraordinary this wintera day on the slopes together. The Frontier 7ft Toboggan by Streamridge<sup></sup> is designed to hold mum, dad and the kids. Give your family days of excitement and fun on the slopeson a toboggan thats built to last generations. This family-sized toboggan is made from Ontario ash hardwood, and is 100% screwed together (no weak screws) for maximum strength and durability. Quality and traditional style are achieved by using a steam-bending technique to shape the hood. A strong chain holds the hood in place. 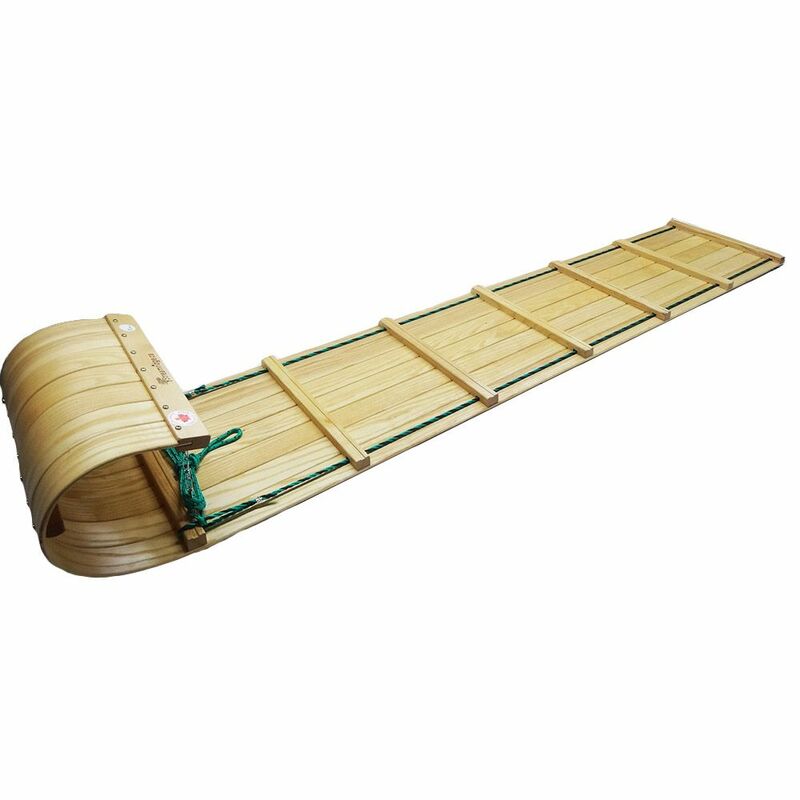 This toboggan features a premium braided pull rope to make each trip up the hill easier for you. This toboggan will be sure to bring instant smiles to children and adults alike. The 35-in Invader inflatable snow tube was designed for snow tubing just about anywhere there is snow. Built from quality materials that will withstand exciting high-speed runs in the snow, the cold resistant heavy-duty 18 gauge PVC vinyl is extremely durable. Two oversized easy to grab handles allow a secure grip and manoeuvrability as you glide down the hill. The convenient grip line makes towing the tube back up the hill for the next run easy! 90-day limited warranty. Designed for 1 person - weight capacity 165-lbs. Featuring durable heavy-duty cold resistant 18 gauge PVC vinyl, bold exciting action graphics, and 2 large heavy duty handles that allow for an easy grip even while wearing bulky mittens or gloves. A directional bottom is designed for added stability and control as you zoom down the hill. Includes a convenient grip line that makes towing the Thunderbolt back up the hill for the next run quick and easy! 90-day limited warranty. Designed for 1 person - weight capacity 165-lbs. Frontier 7 Feet Toboggan Give your family something extraordinary this wintera day on the slopes together. The Frontier 7ft Toboggan by Streamridge<sup></sup> is designed to hold mum, dad and the kids. Give your family days of excitement and fun on the slopeson a toboggan thats built to last generations. This family-sized toboggan is made from Ontario ash hardwood, and is 100% screwed together (no weak screws) for maximum strength and durability. Quality and traditional style are achieved by using a steam-bending technique to shape the hood. A strong chain holds the hood in place. This toboggan features a premium braided pull rope to make each trip up the hill easier for you. This toboggan will be sure to bring instant smiles to children and adults alike.